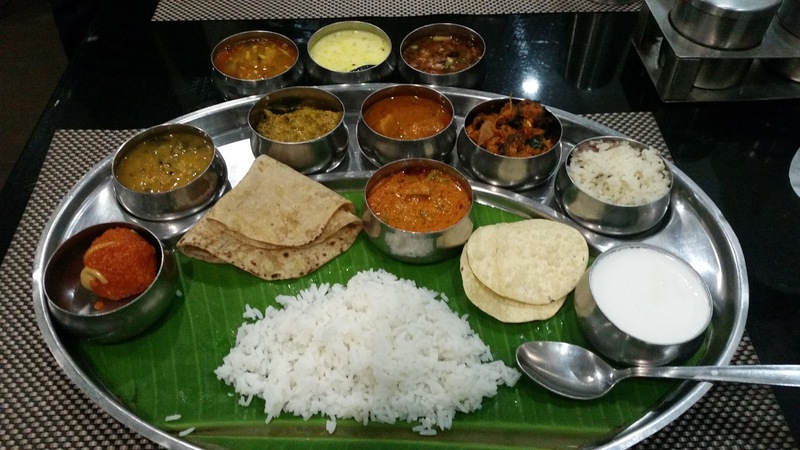 Ever since my friend Joydeep had moved to Tenali as the General Manager of Goutham Grand Hotel, he had been telling me that they have a brilliant chef and I must come down and taste some of the Andhra delicacies he prepares. Finally, I decided to take couple of days off in February for a gastronomic extravaganza and boarded the Chennai Express from Hyderabad to reach Tenali almost at midnight. Joydeep was waiting for me at the station. 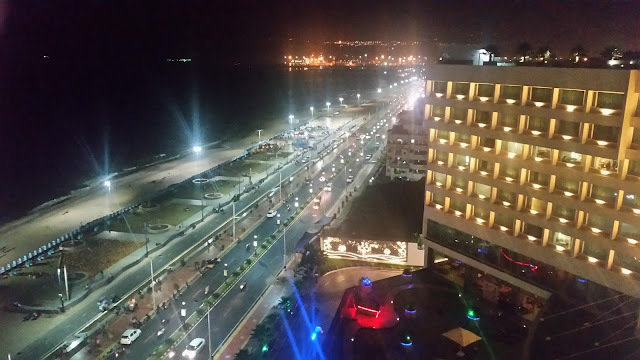 Goutham Grand Hotel is a 3 star hotel within 500 metres from the station, and we reached in a few minutes. I was famished as I only had some local onion samosas in the train, and headed straight for Zaika, the multi-cuisine restaurant there. It was here that I met Chef Sai Kumar, who was waiting for us with a special menu. The menu for the night was very simple – three biryanis from the chef’s table followed by rasmalai. We started with the vegetarian Jackfruit Biryani. Jackfruit is a vegetable which mimics mutton in texture and taste, and hence it is popular in Bengal as a vegetarian substitute for mutton. Whereas in Bengal we prepare echorer (jackfruit) dalna in the same way as mutton, in Andhra regions a biryani made with jackfruit is very popular in the marriage feast which traditionally serves vegetarian fare. Chef Sai’s biryani was mildly spiced with the jackfruit cooked just the right amount. The second dish was Avakai Kheema Biryani. A tangy preparation with raw mango and minced meat, the biryani did not need any salan or raita, and could be devoured as it is. Ulavacharu or horse gram is a very popular dish in Andhra Pradesh. I have come to love ulavacharu with white rice and cream. 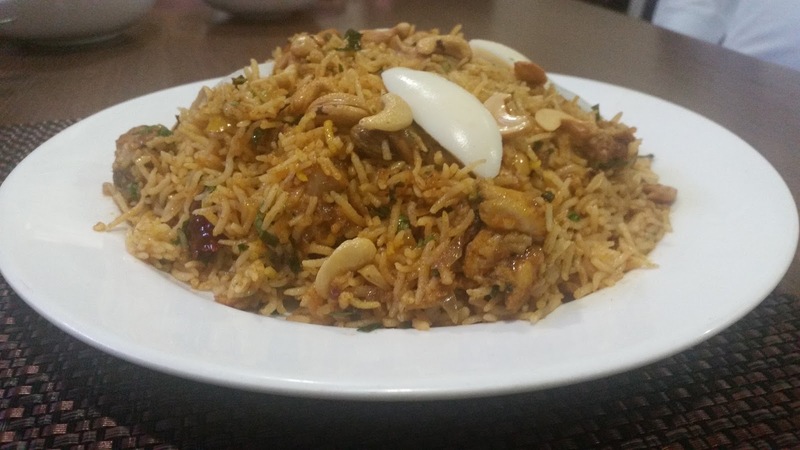 Here the chef had prepared Ulavacharu Chicken Biryani, a pulao with cooked in a horse gram based masala. 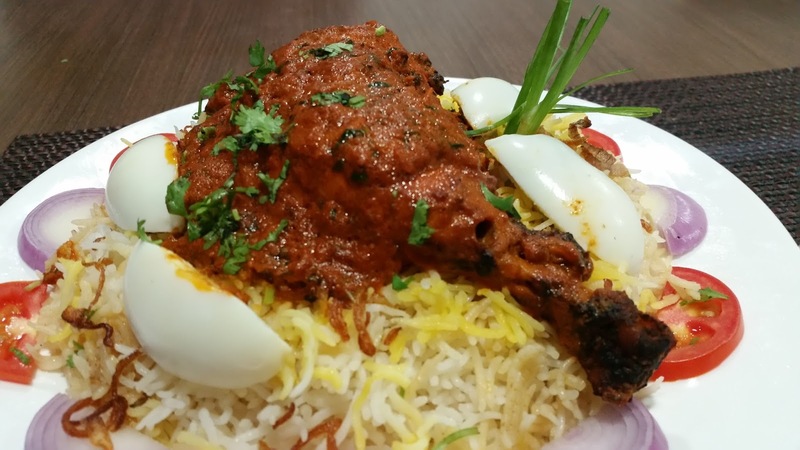 The three biryanis tasted completely different from each other, and presented glimpses of the rich repertoire of rice based dishes in Andhra region. I was told that the dessert chef in Goutham Grand is a Bengali and it was evident in the tasty Rasmalai he prepared. It was quite late and I retired for the night in one of the comfortable rooms on the fourth floor. Next morning, Joydeep was already in office at breakfast time, and I tried out the buffet breakfast at the Zaika. I was surprised to know that the breakfast costs only Rs 125. Complete South Indian fare is served here. There were fluffy idlis, hot vadas and upma, but my favorite here was the sabji served along with the puris. The onion dosa served on the table was also crisp and nice. The breakfast is quite popular in the neighbourhood with lots of walk-ins. A special note about the variety of chutneys which were served with the breakfast, there was flavours like ginger, gongura and chillies. Come afternoon, the Chef showcased some more of his brilliant biryanis. The signature dish of the restaurant is Chicken Lollypop Biryani. In this recipe fried chicken drumettes or lollypops are prepared in a ginger based masala, before it is added to the pulav. 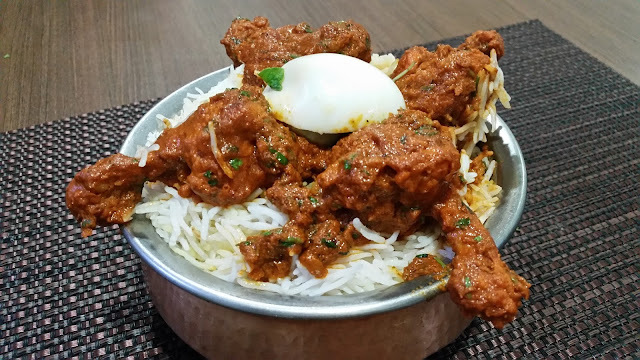 Andhra Chicken Joint Biryani had chicken drumsticks in a red chili based sauce with saffron flavoured rice. 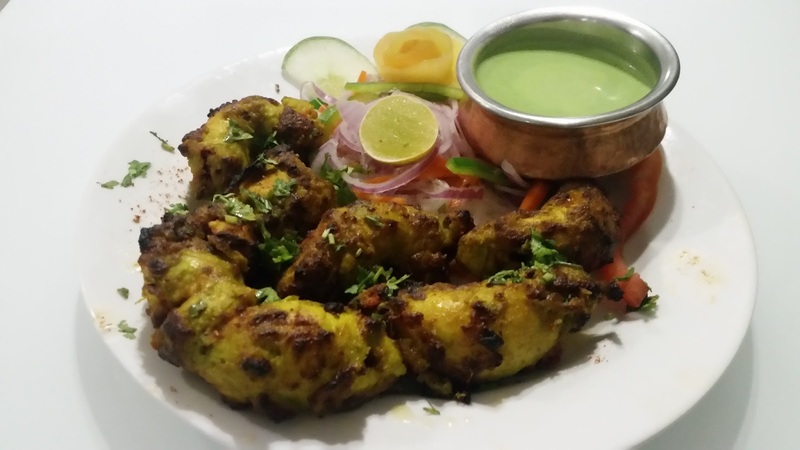 The dish I loved most in this sitting is called Chicken Rojali Kabab – succulent chicken kabab pieces with a cavity inside which is stuffed with cooked chicken keema before cooking it in the tandoor. By now, I was convinced of the Chef’s prowess of preparing biryanis and wanted to try out something different for dinner. 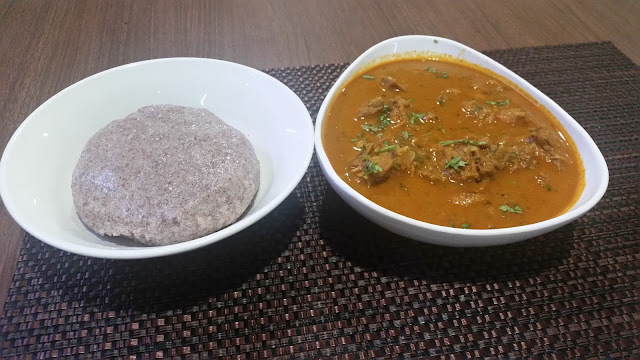 The Chef answered my challenge by preparing some delicate Natu Kodi Pulusu or country chicken curry Andhra style and ghee laden millet based Ragi Sankati. This is a traditional dish of Rayalaseema region which is eaten by adding the curry into the millet dumpling. The adventurous even add some extra ghee to enhance the taste. Gongura, the local leafy vegetable is very popular in Andhra region especially as an ingredient for pickles. 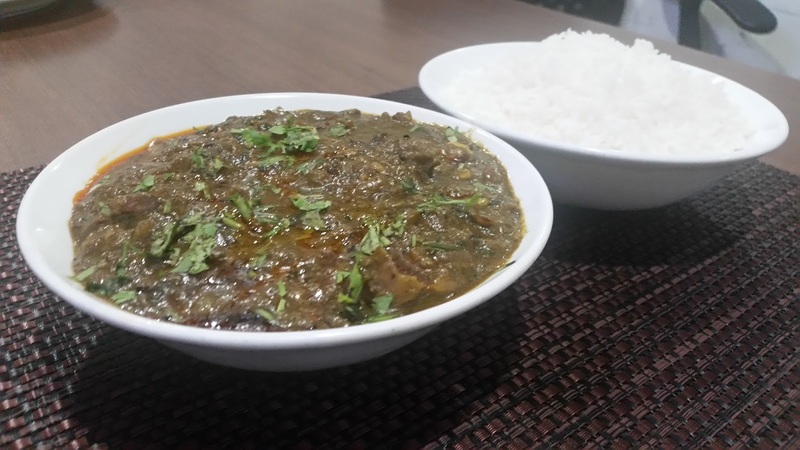 Gongura Mamsam, a preparation of mutton went very well with the steamed rice served with it. The Chef still wanted us to try out one of his rice creations – Konaseema Kodi Pulav was a local chicken and rice based preparation, which had the masala with red chilies and nuts soaked into the rice. Real mouth-watering stuff it was. The dessert for the day was a concoction of mango ice cream, milk and honey – a very light and delicate dish to end the meal. I was planning to leave for Hyderabad for the next day, and Joydeep wanted me to try out the Andhra Thali at Ruchi, the vegetarian restaurant on the ground floor. For a price of Rs 100, the unlimited thali had about a dozen items, including some excellent vegetarian curries, chutneys and dals. I especially loved the Tomato Pappu and Dondakaya Chutney. I was planning to eat light before I board the train, but ended up gorging a lot more. 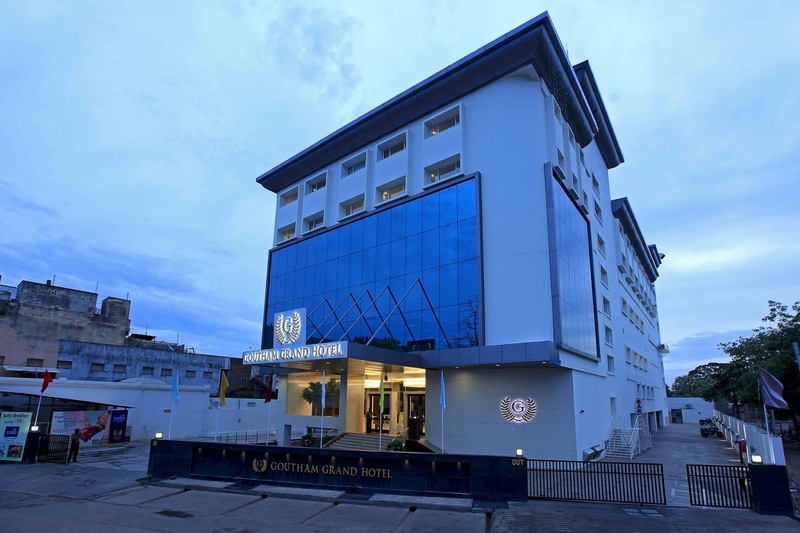 Goutham Grand Hotel is located close to the railway station of Tenali. Vijaywada, Guntur and the new capital of Andhra Pradesh, Amravathi, are all within an hour’s reach. The sea beaches of Bapatla and Chirala also can be covered in a two-hour journey. The hotel has 48 rooms which make it an excellent stops for executives and businessmen who have interests in the new capital region of Andhra Pradesh. Also, there are two large banquet facilities, which can accommodate about thousand persons each, and these are very popular for marriage and other functions in the area. The kitchen has really explored the Andhra cuisine well and has contemporized and experimented on lots of recipes. On behalf of the whole team of Goutham Grand Hotel, we would like to thank Mr Sabyasachi Ray Chaudhuri for his precious time to visit our hotel and experience our traditional cuisines. Our culinary masters are very happy to know that we have exceeded your expectations. Providing good food and service to both outstation and local people of Tenali is our prime motto and we make sure that we never compromise on standards related to the same. 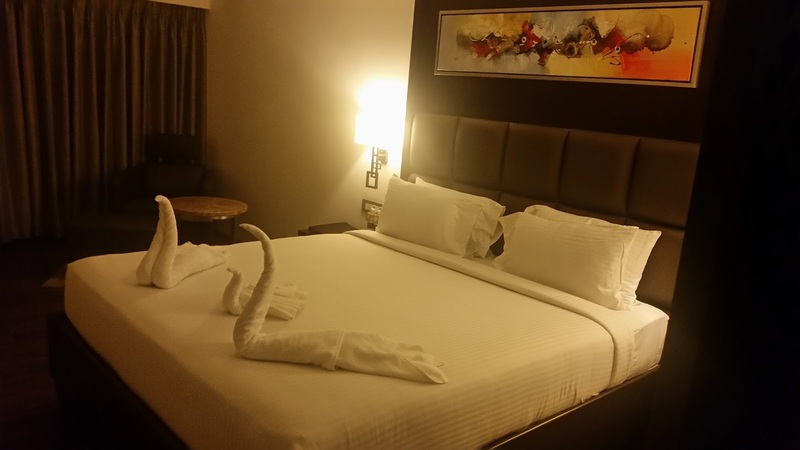 We look forward to welcome you again to our hotel since we have many more to offer. Thanking you, Joydeep Mazumdar... General Manager....Goutham Grand Hotel, Tenali. I had a great time. Thank you for the hospitality.